Click on image to go to Area 52 homepage. Click on image to go to Iron Brigade homepage. 11/01/12 - Junglevision release Area 52 for the iOS & Mac platforms. Product Description: Aliens are invading! They have already overrun the secret earth defense facility at Area 52, and have been using their mind control chambers to influence leaders in Washington. Your mission: go to Area 52, destroy the aliens and save mankind before the invaders complete their plan to enslave the human race. 08/13/12 - Junglevision & Other Ocean port Iron Brigade to the PC on Steam. Product Description: Join The Mobile Trench Brigade and protect humanity from the evil Monovision menace in this Tower Defense Shooter from Tim Schafer's Double Fine Productions. Use a combination of mobile firepower and stationary defenses to turn the tide of war in our favor. Customize your trench with thousands of possible loadouts. 03/06/12 - Junglevision & Other Ocean port Stacking to the PC on Steam. 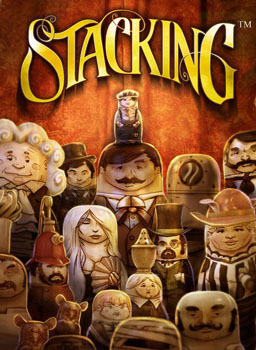 Product Description: Explore a vintage world inhabited by living Russian stacking dolls as you jump into more than 100 unique dolls and use their special abilities to solve a wide variety of puzzles & challenges. This imaginative 3rd person puzzle adventure game will take you on a journey from bustling Royal Train Station to a high-flying Zeppelin as you collect unique dolls and matched stacking sets to display in your secret hideout. 10/14/11 - Junglevision & Other Ocean port Costume Quest to the PC on Steam. 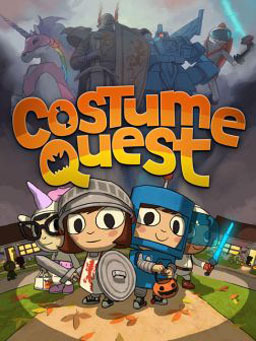 Product Description: Costume Quest is a Halloween adventure from Tim Schafer's Double Fine Productions. In this charming role-playing game, choose your hero and trick-or-treat through three beautiful environments full of Double Fine humor and story. 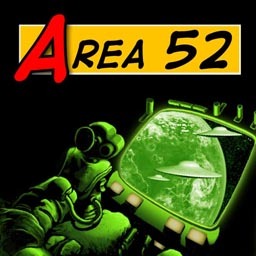 11/01/12: Junglevision releases Area 52 for the iOS platform (iPod, iPhone, iPad) . 08/13/12: Junglevision & Other Ocean port Iron Brigade to the PC on Steam for Double Fine. 03/06/12: Junglevision & Other Ocean port Costume Quest to the PC on Steam for Double Fine. 10/14/11: Junglevision & Other Ocean port Costume Quest to the PC on Steam for Double Fine. .
03/09/11: Junglevision releases the original 1983 classic Shamus Case II for iPad and iPhone. Following up the original Shamus with more exciting arcade action is Shamus Case II. 02/18/11: Junglevision releases the original 1983 classic ZEPPELIN for iPad and iPhone. ZEPPELIN is an intense side scrolling arcade action game. ZEPPELIN will be available on iTunes for $1.99. 02/04/11: Junglevision releases the original 1982 classic SHAMUS for iPad and iPhone. Shamus is four levels of intense arcade action. Shamus is available on iTunes for $1.99. 12/01/10: Junglevision releases Atoms! for iPad, iPhone, iTouch. Atoms is a fun and educational game which will teach fun facts about molecules. Atoms is available on iTunes for $2.99. 12/07/09: Junglevision, Making Fun, and Ubisoft release RAYMAN for DSiWare. This retro title is a port of the GBA version with enhanced graphics, sound, and music. The new version adds features that include a level map, camera snapshots, more lives, continues, and checkpoints making it easier to play than the original. The title is available for download from Nintendo for $8.00. 08/26/09: Junglevision is going back to its roots and will release a retro-game for DSiWare this Christmas. Details will be made available when the publisher announces the title. Junglevision announces support for u'nSP platform from General Plus for use in dedicated game consoles. Junglevision programmed FIFA96 from Electronic Arts on an older version of this platform. 09/01/08: Junglevision signs with a San Francisco publisher to make an iPhone game for release in early 2009. Junglevision's development of this original title includes art, programming, sound , and production. 06/15/08: Junglevision announces a new 3D engine for Apple's iPhone. Some of the features include importing skinned animated 3D characters from Maya directly into the game, billboarding, a particle system, morphing meshes, multitexturing, 3D font system, multitouch screen, camera control, object blending, color animation, alpha channel, linear interopolation and slerp interpolation for quater nions, music & sound streaming, display 2D animations, and much more. The engine is also quite capable for implementing 2D games as well. 03/12/08: Junglevision signs with a Canadian developer to make a DS version of a popular leisure web/PC title. 02/01/08: Junglevision announces a new 3D engine for Nintendo DS. Some of the features include importing skinned animated 3D characters from Maya directly into the game, billboarding (for use with trees, plants, etc. ), a particles system for special effects, 3D font system, full camera control, alpha channel blended objects, linear interpolation, object collision detection, music and sound streaming, display 2D animations on sprites, and much more. Junglevision's current engine has shipped two titles on the Nintendo DS and on twelve titles on the Nintendo GBA.